Jack Dunigan has spent more than 30 years in the non-profit sector. In that time, he guided more than 2 dozen groups through the process of becoming tax-exempt non-profit organizations. His experience and skill in the development of charities, faith-based organizations and educational institutions make him the go-to guy for advice and guidance. He's a valuable resource for understanding the dynamics of making an impact on society through non-profit ventures. Jack Dunigan: This is probably one of the most often received questions that I get. Having worked with organizations for 30 years, a lot of organizations that are non-profit organizations, after 30 years, really are bankrupt. They seem to have the idea that, in order to be a non-profit organization, they don't have to actually make any money. 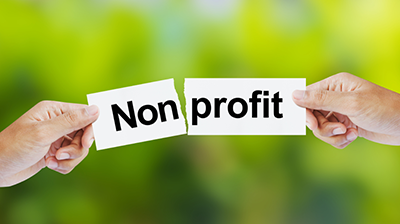 Non-profit organizations, like any business has to make money. They have to be able to meet budgets. They have to meet payroll. They have to pay for the objectives and the activities of their mission. The problem is that, if you think that you don't have to make any money, it begins to affect your planning. The difference between a non-profit organization and a business is that, if I own a business, quarterly, semiannually or annually, if there's money left over, I, as the owner, can take some of that money. In a non-profit organization, I cannot do that. That money belongs to the organization. The IRS, in its regulations, is very specific that there can no inurement to the benefit of an individual, which means I can't take that money. I can get paid for the work that I do, but the money always belongs to an organization. I was talking to a client maybe 2 weeks ago who was concerned about that, that if she decided to close her organization after a couple of years, then what happens to the money. I said, "Well, you don't get it. That money has to be given to another non-profit." Non-profits are permanent and they are never allowed to distribute the funds or any of its assets to any of the members of that. It all has to remain in the non-profit sector. Other than that, they do have to make money in the sense that their revenues have to exceed their expenditures, or they soon will fail in their mission. One of the problems that many people have with tax-exempt organizations is just where do they qualify as a tax-exempt organization. There's one sort of guiding factor, and that is the intent to spend a major portion of your money influencing legislation. 501(c)(3) organizations are expressly prohibited from spending a major portion of their revenues for influencing legislation. The IRS is rather reluctant in defining what "major" means. It's usually around 10%. If you exceed 10%, you may be in danger of losing your tax exemption. The 501(c)(3) is the IRS number for those tax-exempt organizations of religious, charitable, educational institutions. Jack Dunigan: It's a very unfortunate situation. If you lose your status, first of all, you cannot give tax-deductible receipts to any of the donors. Any of the revenues that you receive will be treated as income rather than revenues and it will be taxable at any normal corporate or business rate that might be applicable, depending on where you are in the United States. It varies from state to state. You would owe federal taxes and you would also owe local taxes.